Flachstahl, glanzverchromt. Schwarze Schieferplatte, bruchroh. Flat-rolled steel, polished chrome. 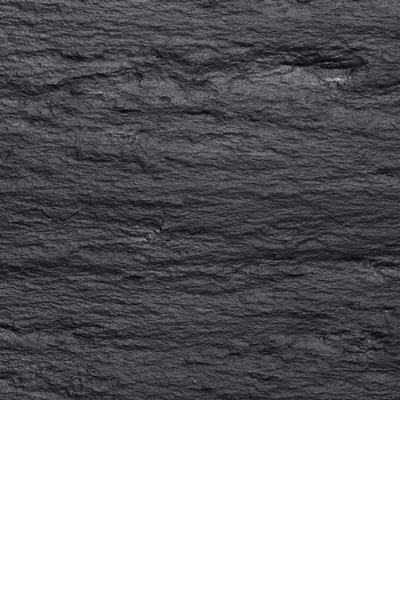 Black slate slab, rough finish. 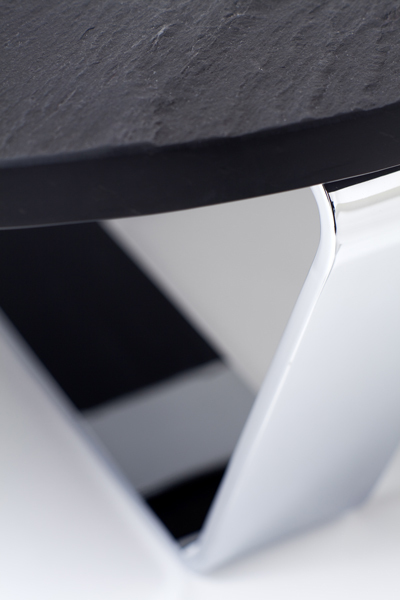 A design that lives from the contrasting characteristics of two materials. 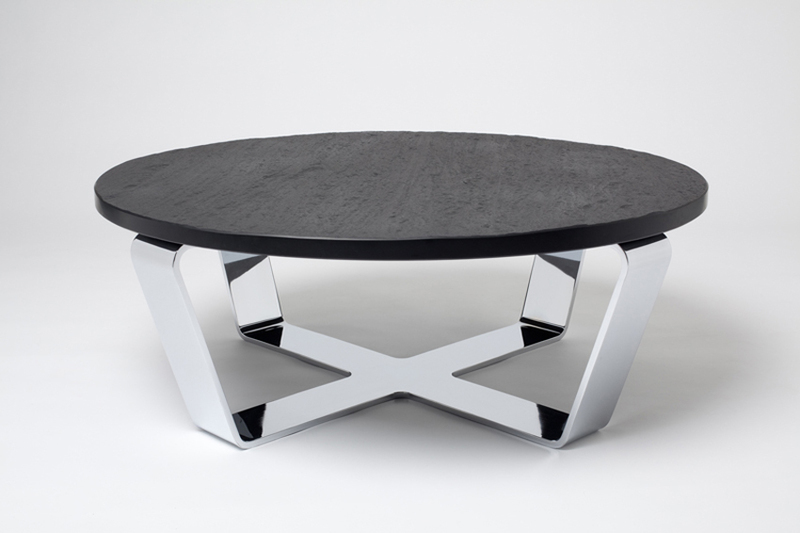 The frame of the coffee table is manufactured from a single piece of flat steel, which is laser-cut into a cruciform shape, bent, and chrome-plated with a high-polish finish. The reflective, smooth surface takes on the color of its environment. Facetted downwards – similar to the mounting of a diamond – the frame holds the unfinished, rough slate slab. The slab is polished solely on its edges and on its underside. 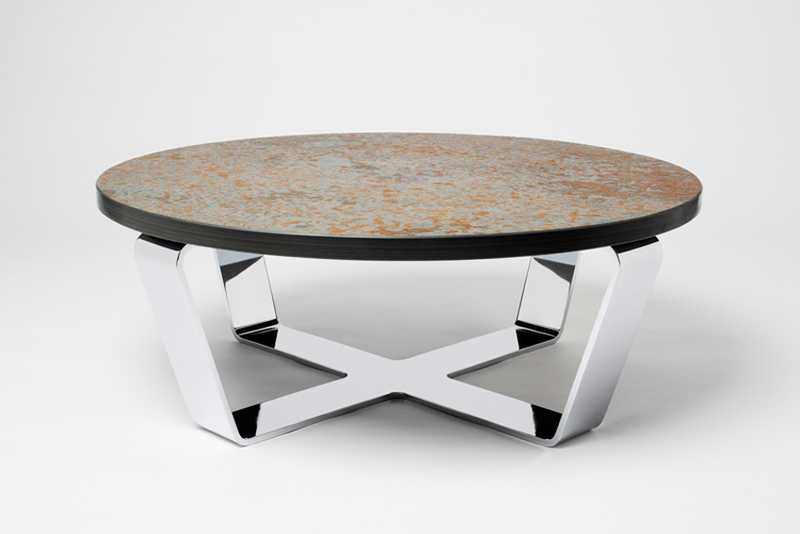 The weight of the materials emphasizes the particular radiance of the coffee table. Available in Italian, dark black, or Brasilian slate. 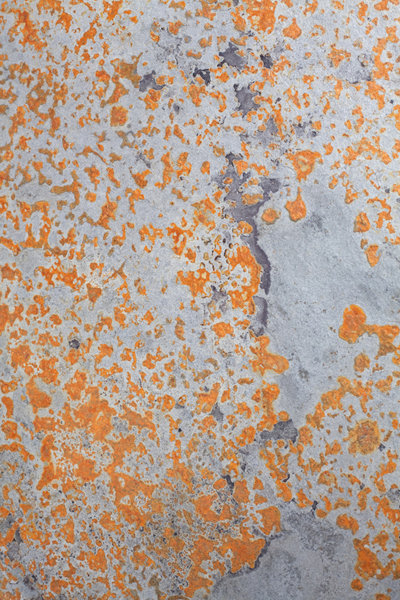 Due to its high iron content, the slab begins to corrode according to the lines of its fissures and, through this, allows fascinating color patterns to form. The natural stone surface is color-enhanced as well as surface-sealed. This provides optimal protection against dirt and liquids.